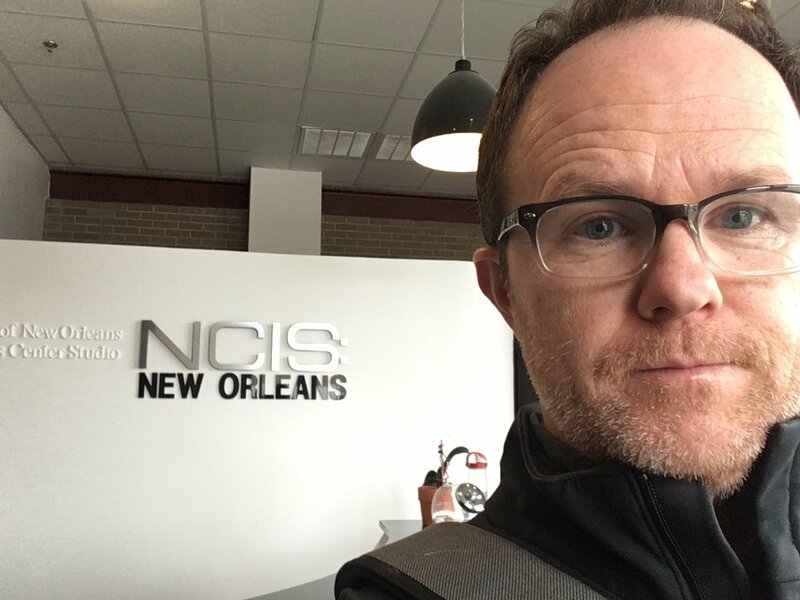 Since moving to Louisiana, Jason has appeared in some of the biggest film and television projects produced here, including NCIS: New Orleans, Happy Death Day, The Big Short, Trumbo, Claws, and American Horror Story: Freak Show. 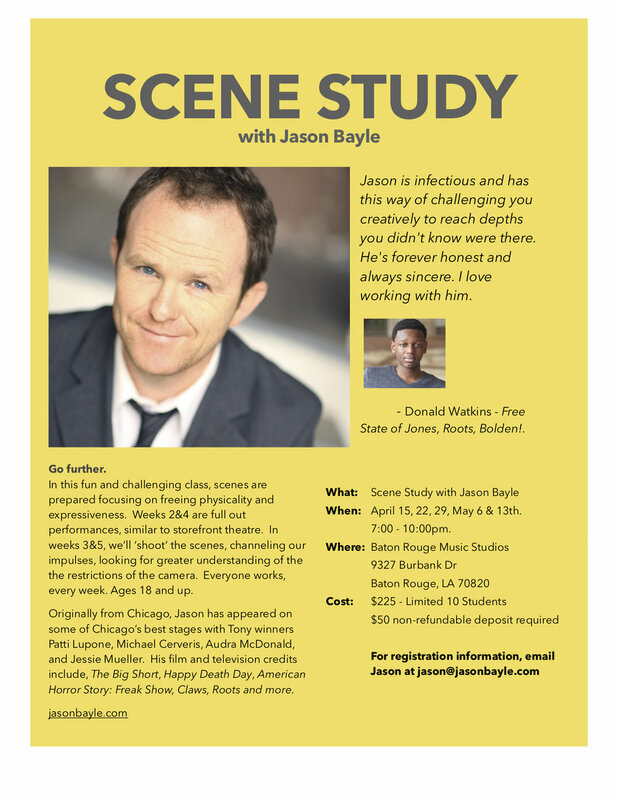 Originally from Chicago, Jason has appeared on some of Chicago’s best stages with Tony winners Patti Lupone, Michael Cerveris, Audra McDonald, Jessie Mueller, and toured nationally in Scrooge: The Musical, starring Richard Chamberlain. He currently acts, teaches, and directs in Baton Rouge, and is writing his first musical, Lonesome Time, featuring the songs of the Long Gone Lonesome Boys. For more information about Jason or his upcoming projects, please visit the contact page. Here we go again! Opens Valentine’s Day 2019. Been working on getting my reel together for a while. Lucky to have worked on so many great projects. Happy Death Day!! Check out the great right up in Variety!! Opens Friday, October 13th. Watch out! This summer I'll be making an appearance in the new show Claws on TNT. Episode 4 to be exact, across from one of my favorite actors, Dean Norris. Begins airing June 11. All right Creeper fans, he's back! Incredibly honored and excited to play Cal Hooks in the upcoming 3rd installment of the Jeepers Creepers franchise. Look for release in late 2017! Last couple of months have been busy working on some great projects in New Orleans and Baton Rouge. In November, I wrapped the mystery/horror/thriller Half to Death, directed by Christopher Landon and last week worked with some of the best hip hop dancers in the universe on a project filmed in Baton Rouge called All Styles. I won't be dancing but you can look for releases in mid 2017. Come out, learn something new, and practice the skills that get you cast! Be on the lookout for my American Family Insurance commercial, airing nationally. Indulging my inner rock star! Coming this Memorial Day, an appearance in the new adaptation of Alex Haley's Roots, on History Channel. Check out the trailer below. Into The Woods at Theatre Baton Rouge opens March 4th! Get your tickets before it's sold out! Had a great time speaking with Pam Bordelon over at The Advocate about my time on set of The Big Short. Here's her write-up of our conversation. An embarrassment of riches. Here's the new international trailer for Trumbo, starring Bryan Cranston. I'm about 1 minute in. An amazing chance to meet and work with one of my idols. I made the trailer for The Big Short. If you haven't read this book by Michael Lewis I highly recommend it. Incredible story of the Mortgage bond market and the collapse of the housing market that followed. Coming this November...an appearance with Bryan Cranston in Trumbo. Still some tickets left to catch the terrific production of Next to Normal at Theatre Baton Rouge. 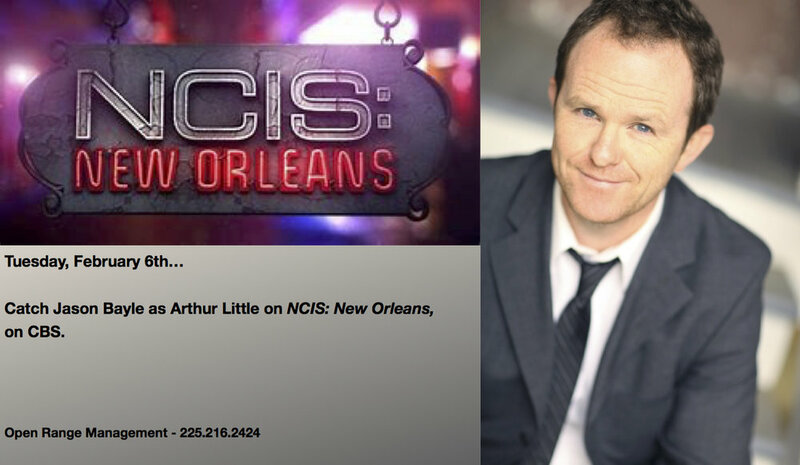 Some great notices on Nola.com and Broadwayworld.com. Come and say hi to me in the pit if you make it. Get Hard opens March 26. Check your local theatre listings and keep your fingers crossed I made the cut. I can also announce I'll be appearing in The Big Short, coming in 2016. Directed by Adam McKay and based on the incredible book by Michael Lewis. I'll be teaching a 3 week Acting Intensive through Theatre Baton Rouge beginning late March and running Tuesdays and Thursdays through April 16th. This class will be a nuts and bolts acting class focusing on text prep and pushing you past your perceived boundaries. I'd love if you can make it. For more information and to register, click HERE. We had a great crowd for the opening of Lombardi at Theatre Baton Rouge last night with Hall of Fame Green Bay running back, (and Baton Rouge native) Jim Taylor in attendance. This a great show with a great cast. Runs through November 23rd. You can get tickets HERE. With Jim Taylor at the opening of Lombardi. Great article in The Advocate today about our show. Tomorrow night is the night! Keep your eyes peeled during episode 4 of American Horror Story: Freakshow on FX. Had a great time on this amazing set with these tremendous artists. This October I'll be appearing in an episode of American Horror Story: Freakshow. Check back for airtime's. If you haven't seen the trailer, check it out. Going to be an amazing season. Ready to peek under the big top? Prepare yourself. The first EXTENDED TRAILER for American Horror Story: Freak Show is here. This fall I'll be directing Lombardi by Eric Simonson, based on When Pride Still Mattered - A Life of Vince Lombardi by David Maraniss for Theatre Baton Rouge. Auditions are September 6th,7th&8th. Performances run November 7th-23rd, 2014. Click HERE for more info. Coming March 2015, an appearance in the new Will Ferrell/Kevin Hart comedy Get Hard. Coming in 2015, an appearance with David Arquette in Evan's Crime. I've got a really funny spot airing for Cox Media during the NBA playoffs. I've got all the moves! Keep your eyes peeled. I'm coming for you! Watch your televisions this spring/summer as I'll be featured in a PSA for Tobacco Free Louisiana. Put down those smokes! Friends in Lafayette! Be on the lookout during the Superbowl for my GMC spot. Thanks to Giorgio and Logan at Potenza Creative for a great time. I'll be directing Broadway Santa for Playmakers Theatre, running December 5-15th 2013. Click here for ticket and audition information. 9 to 5: The Musical opens this Friday, September 20th, at Theatre Baton Rouge. Here's a great article from Robin Miller at The Advocate about our production. To buy tickets, visit TBR's website. We run through October 4th, 2013. Hope you can make it. I was lucky enough last week to shoot a really fun commercial for Whitney Hancock Bank with Sean Payton, head coach of the Saints. Keep your eyes peeled this fall during Saint's games! View Jason's Actors Access Profile. Contact Jason for rates and availability. For booking information call Brenda Netzberger with Open Range Management at (225) 216-2424.